If you have some spare time at the beginning of November, perhaps you would like to visit DevOps Summit West in the sunny, California. 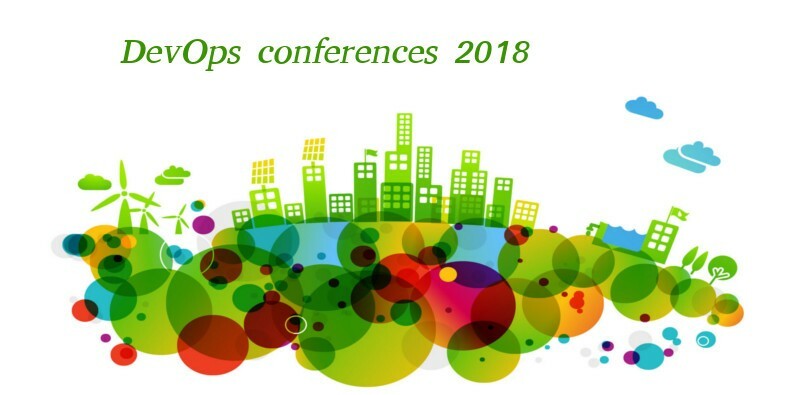 This is one of the biggest annual events and it gathers the opinion makers, experts and bright visionaries with rich hands-on experience with all parts of the DevOps industry. The sponsors and keynotes include Google Cloud, Akvelon, Datera, and Codigm. As the event is held so late in the year, the latest DevOps tools, advancements, tech and trends will surely be displayed and discussed there. AWS re:Invent 2018 event will take place during the November 26–30. Las Vegas Strip will house several dozens of hackathons, seminars, workshops, and presentations throughout these 4 days. However, the most important part of the programme, which attracts more than 30,000 IT and DevOps professionals will be the presentation of the latest AWS tech. Last year saw the introduction of the managed Kubernetes-as-a-Service — AWS Fargate, distributed AWS Aurora database, the new generation of M5 EC2 instances, advances in AI/ML field and lots of other useful and exciting stuff. We are sure this year will be as exciting and will bring even more hype. The speakers will discuss the best practices of using Kubernetes for deploying cloud-native applications, the latest advancements of Kubernetes ecosystem, the business cases and practical advice on getting the most out of this cornerstone tool for the cloud infrastructure management — and all these topics will be discussed in mere 3 days. There will be multiple speakers from GitHub, Google, RedHat, Heptio and other leaders of the DevOps industry. These upcoming DevOps events for 2018 will definitely be a time well spent. In case none of them hits the sweet spot for you or misses your tight schedule — perhaps you will find a worthy alternative among the events listed at the beginning of our article. Spaceport team is surely going to attend AWS re:Invent 2018 to get the firsthand experience with the latest additions to the AWS offers, so hopefully — see you there! Business Development Manager at Spaceport | Cloud is not a rocket science. See for yourself!